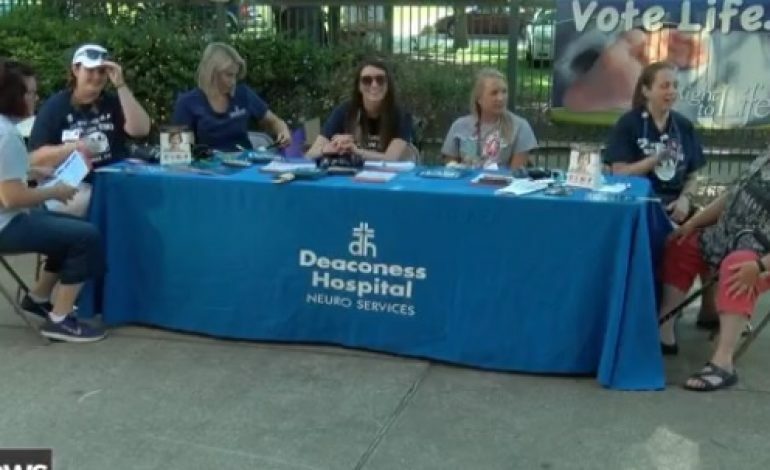 Deaconess and the Evansville Otters teamed up to try to reduce the number of strokes through education and awareness. A stroke is a brain attack, cutting off vital blood flow and oxygen to the brain. Strokes are the fourth most leading cause of death in the Hoosier states so the Otters and Deaconess are working to raise awareness and lower the death rate caused by strokes. Before the game started an air evac helicopter landed on the field and stroke survivor walked out to toss out the ceremonial first pitch. “Everybody if you talk to them they know someone who has had a stroke. Whether it be someone in their family or a friend, I think we all have been affected by it and I think that it’s very important that our community become aware,” says Deaconess stroke coordinator Jenni Guth. Each year more than 800,000 Americans suffer a stroke, with many survivors having long-term problems.